TradeStation is a well-known US brokerage firm that is owned by Monex Group Inc. It is headquartered in Plantation, Florida but has offices in New York City, Chicago, Richardson, Texas, London, Sydney, and San Jose, Costa Rica. It’s best known for its analysis software and electronic trading platform, as it gives an edge to active traders and gives plenty of opportunities to develop your strategies in their ​brokerage account. TradeStation should probably be thought of an online broker with a trading account available to the retail trader in the United States. TradeStation is an exciting choice for high-volume traders. It’s also going to lack some of the handholding that you will see it in other retail brokerages, the platform is world-class, and the beginning investor will probably be better served at some other brokerages. You should know what you are doing using TradeStation with their state of the art trading tools. However, if you have the knowledge and the experience, you will probably find TradeStation an excellent place to trade with your money. 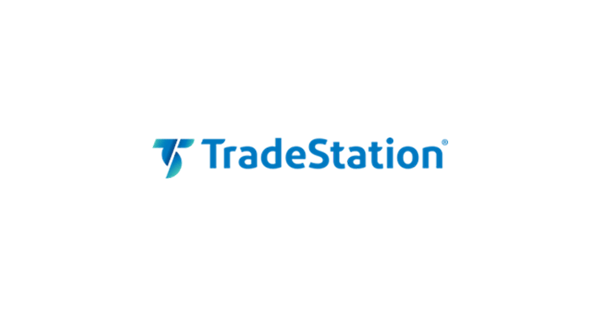 TradeStation presents itself as a destination for day trading, stocks, options, ETFs and futures. They promise that due to their service, traders will never leave any promising trade behind and will never miss any trading opportunity with high potential. ​They give you the ability to open individual, joint, IRA, entity, and custodial accounts. This is much like many of the other brokerages that we have reviewed so that it can serve the same function as those. Offering multiple pricing schemes, depending on your situation, TradeStation could save you a significant amount of money especially if you trade more frequently. Ultimately, your mileage may vary, but at the end of the day, if you run the numbers, you will find that TradeStation should be one of the more cost-efficient places to trade. TradeStation has long been known for its trading platform, coming in three flavors. The desktop version, the mobile version, and the browser version. Not only is the platform world-class and award-winning, but it also gives you the ability to write your own coding. Coding your own trading strategies and indicators is not a problem at all using TradeStation. There is the RadarScreen scanner as well, which gives you the ability to look through the markets for trading opportunities. Of course, you can also use ​Trade Ideas along with TradesStations RadarScreen scanner. You also can also interpret when to get in and out of trades using their Matrix market depth window, a proprietary feature. Beyond that, there is also the OptionPro platform for the options market which is also world-class. Another important point is the possibility to get access to an account and to TradeStation web trading using any PC or Mac with an internet connection, with all features like at the personal desktop. Additionally there is the mobile app working with all mobile devices and enabling traders to open their online account to watch quotes, to analyze charts, to check positions and to place orders – everything in real time, seven days a week and around the clock. All products are available for download from TradeStation's TradingApp Store directly to the desktop platform and installed within seconds. TradeStation offers the ability to trade US stocks and ETFs, as well as options, futures, mutual funds, and bonds. As advanced as this brokerage is, it’s a bit surprising that TradeStation doesn’t allow you to trade foreign markets. However, TradeStation is preferred by American traders focusing on trading the localized stock markets, and options. Beyond that, the ability to trade futures does open up a world of possibility though, as you can get involved in soybeans, crude oil, gold, and other non-correlated markets that trade almost 24 hours a day. This is an interesting feature of trading at TradeStation. TradeStation offers several ways for funding an account. Among them are wire transfer, check deposit and electronic transfer (ACAT). The matching options are shown after choosing the type of account. For stock and for options accounts TradeStation requires the initial funding of $ 500 for cash and of $ 2,000 for margin. For futures and for futures options accounts TradeStation requires the initial funding of $ 5,000. TradeStation has multiple commission schemes. It’s going to come down to how often you trade, but the basic pricing is five dollars per trade in the stock market, with an additional $0.50 per trade per contract in the options market, with futures costing $1.50 per trade, per side. However, things change quite drastically if you are more frequent and heavy volume trader. If you wish to trade unbundled, if you trade enough volume you can earn execution rebates cutting your cost to as low as 0.002 cents per share with the ability to participate in liquidity rebates. That is a much more complex scenario than most of you will be looking at, but it is available. If you frequently trade in small blocks, you could save significant trading with per-share pricing starting as low as $0.01 per share. Needless to say, this can make a massive difference for those of you looking to trade frequently and makes day trading possible. All this includes the free use of the software, free market data and free premium tools, but one should check the platform for further details as TradeStation encourages users to do this. It is essential to do the math first. Day traders should consider taking a closer look at TradeStation trading account. Sure, when you compare the pricing structure to Interactive Brokers, then Interactive Brokers will remain the winner in terms of pricing. However, it is not always all about the pricing. The key point here is the trading platform. Not everyone like the Traderworkstation Interactive Brokers provides, so in that case, TradeStation might be the right solution. However, it is essential to do the testing without risk or at least low risk. It would be best if you never funded your account with all your money and then start trading with all your available funds. Step by step is the right path to success. Per share: This may be interesting for those who trade frequently in small blocks as it could save costs with per-share payments starting at $ 0.01 per share. Unbundled: This option enables high volume traders to get execution rebates cutting their cost down to $ 0.002 per share while they may participate in liquidity rebates. Those trading in small blocks may save with $ 1.00 per contract with no base/ticket charge. The minimum for this option is one contract market or limit. $ 1.50 per contract, per side including free software, free premium tools and free real-time data. One should be aware of the possible exchange execution and clearing fees and the futures margin rates. Tiered Plan: Here the price per contract, per side depends on the number of monthly contracts. All details on the platform. $ 1.50 per contract, per side for futures options and futures contracts that are traded through the Futures+ platform. $ 14.95 per trade with a choice between hundreds of funds out of 79 fund families. ​$ 14.95 plus $ 5 per bond to trade government, corporate and municipal bonds. TradeStation has both education and research, but I would be remiss if I didn’t suggest that perhaps some other brokerages offered a bit more “hands-on” information. The University is rather good though, as it gives you both webinars and featured videos that can be accessed at any point. Because of this, you can learn from live instructors, but you also can learn at your own pace with various topics like in an regular trading course. The “Market Insights” section of the website gives us quite a bit of information on market moves and opinion. They do have a newsletter also that comes out, so they can give you an opportunity to pick up a bit more in the way of research and analysis, but it’s not as in-depth as some of the other places that we’ve looked at. Ultimately, there are plenty of places online that you can go looking for research as well, so this is in a make or break situation. The nice thing about the Market Insight section is that it is broken down into events, sectors, education, and markets overall. Customer service at TradeStation is simple to reach. You can chat directly on the webpage, or you can call via telephone to get support. There are specialists available to contact, some of which specialize in retail, while others specialize in institutional firms. There is a trading desk and data integrity specialists available as well. Most people will use the phone option, which of course is open during regular trading hours in the United States. The customer service specialists at TradeStation are very knowledgeable and have been known for being as such. However, the fact that they are only open during US business hours is a bit of a negative. TradeStation merely is what you make of it. The brokerage offers excellent commissions if you are a more frequent trader, which of course is a significant benefit for those who are high-volume as it protects a lot of your profit. The brokerage has long been known for its technology, which is world-class. The brokerage platform even gives you the ability to write in a straightforward language the algorithms like trading strategies that you choose to use, or perhaps specialized indicators. Those who are fluent in computing languages will find this an excellent platform to code for, and the learning curve is quite small. A bit surprising is the fact that we can only trade US-based markets, as the brokerage is so world-class. However, if you are looking to trade just American assets, then TradeStation is worth a closer look. The fees are quite reasonable for the investor, but even more so for the short-term trader. With that in mind, it’s one of the few places that you can save significant amounts of money in commission’s overall if you are looking to trade frequently. For US-residents, Interactive Brokers and Lightspeed Trading are the main competitors in terms of low-cost pricing, while SureTrader might be worth being considered by residents outside the United States. The education is a bit thin, but it is good for what’s there. This is more or less going to be a place where traders who are looking for proper execution and reasonable pricing will flock to. For the beginning investor, it probably is a bit much. That’s not to say that you can’t use it, simply that you may find better value with a ton of analysis and analysts to choose from. For experienced traders, TradeStation is probably one of the premier American brokerages to use. Long known for its lightning-fast execution and professional platform, TradeStation also offers the world of futures- and options trading. So its kind of a “one-stop shop” trading US stocks and commodities.